Credit scoring is widely used in the underwriting and pricing of mortgage and consumer credit, and the credit information used to derive these scores is commonly used in employment screening for certain sensitive positions. Despite their widespread use, credit scores and credit histories raise concerns over an unfair disadvantage to minority populations. These concerns center on the independent variables that comprise these models and their potential disparate impact on certain demographic groups. Disparate impact refers to the idea that a variable’s predictive power (i.e. the use of credit scores stemming from past credit history to predict future behavior) might arise from acting as a surrogate for group membership instead of from its ability to predict future performance within any demographic group. Weeding Out the Down and Out? In the employment realm, privacy and civil rights advocates argue that credit reports are used unfairly by employers to “weed out the down and out, especially people of color.” They contend that credit reports have a discriminatory disparate impact. Meanwhile, employers argue credit reports are a valuable mechanism by which to assess candidates for sensitive positions. However, the report did find limited disparate impact by age found to affect younger individuals who generally have no or very short credit histories and resultingly low credit scores. The results also indicate credit characteristics associated with length of credit history may have an inappropriately adverse effect on foreign born individuals, in particular on recent immigrants—again, due to their relatively short credit histories. And perhaps this is where the vicious cycle comes together: those with short credit histories (regardless of the reason) pay more for credit, those who pay more for credit are worse off, those who are worse off have poor credit… and the cycle continues. This study flies in the face of conventional anecdotal stories about credit reports. And while we certainly cannot say there isn’t any truth in the stories of African Americans, Hispanics, or other protected classes being adversely impacted by credit reporting requirements, the data in this study doesn’t support it as a statistical fact. 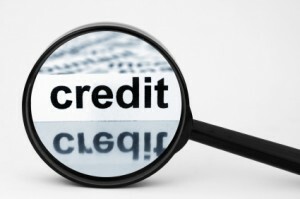 It’s important to recognize that credit reports must be viewed from a balanced perspective. There are shades of grey that must come into consideration. As with any information an employer gathers related to the employment prospects of an individual, it’s important to take a holistic approach. Credit histories are just one piece of information that can be used to paint a picture of an individual in order to predict their suitability for a given role. 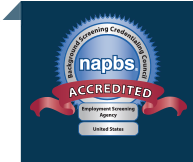 The same can be said for criminal records, reference checks, and each component of a thorough employment background check. Rarely is one single source of information enough to draw a hard conclusion.